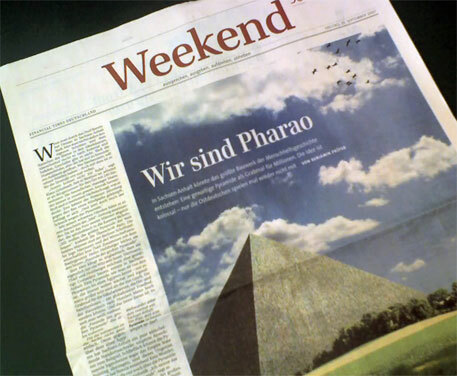 „We are Pharao“ – with „we“ as in „for all of us“ – is the front-page story in today´s FTD weekend supplement written by Benjamin Pruefer. It´s quite nice so you might want to read it. Not online yet – but we will post a link if the piece turns up in the internet. EDIT: Here´s the link .